Plus the personal book that changed her life. Kathy Eldon: My greatest joy is to toddle into the kitchen, make a cup of tea and then read the New York Times and the LA Times (hard copies—not online!) in bed with a few wheat thins to keep me going. KE: I brew a wicked cup of chai that could fuel a jet engine. KE: After being pick-pocketed, I attach my wallet, keys, pen — anything precious — to my purse with a hook on a springy cord. It looks weird, but it works. KE: The publication of a collection of my son Dan Eldon’s journal pages entitled “The Journey is the Destination,” changed my life – and countless others (for different reasons.) Check it out! KE: My phone is in constant use throughout the night — as a flashlight for reading without annoying my husband; as a handy distraction for when I want to stay awake — and as a sleep aid (think Insight Timer) when I realize how dumb I have been to stay up so late, and as an irritating alarm when it’s time to get up. KE: I check it far too frequently on my phone, but only deal with critical emails, allowing an absurd number to pile up in my inbox, awaiting a long flight to clear them out. TG: You find yourself with an extra 15 minutes during the day. What do you do with it? KE: I would like to say that I meditate or read enlightening literature, but most likely, I will fritter the time away catching up on the news or CNN online. KE: Just before Christmas, I wanted to vanish forever. I was totally fed up with everything and just about everyone. After a perfectly timed three week adventure in Africa, I returned feeling calm (ish) and excited about all that lies ahead. That lasted approximately 48 hours! KE: “There is no end. There is no beginning. Only the infinite passion of life.” Federico Fellini. 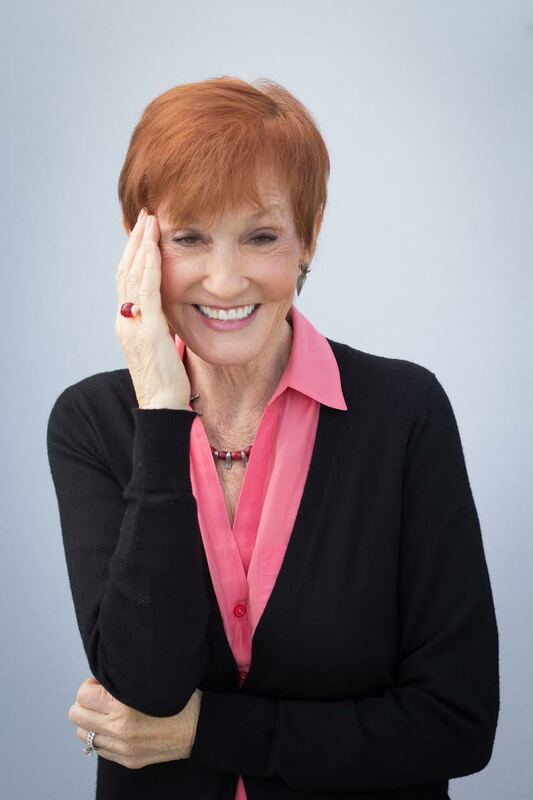 Author and filmmaker Kathy Eldon is the founder of Creative Visions Foundation, a non profit organization dedicated to creating ‘media that matters’. Creative Visions was inspired by the death of Kathy’s son, a photojournalist, Dan Eldon, who was killed at age 22 while covering the conflict in Somalia for Reuters News Agency. Creative Visions celebrates and supports “creative activists” like Dan. Kathy’s latest film, ‘The Journey Is The Destination’, about Dan’s short but extraordinary life is now on Netflix. Through her work, Kathy inspires young people to believe that they have a role to play in changing the world around them by using impact media to ignite awareness about social issues. Listen to her podcast with Elaine Lipworth.